Sage Summit 2016 is less than 30 days away. 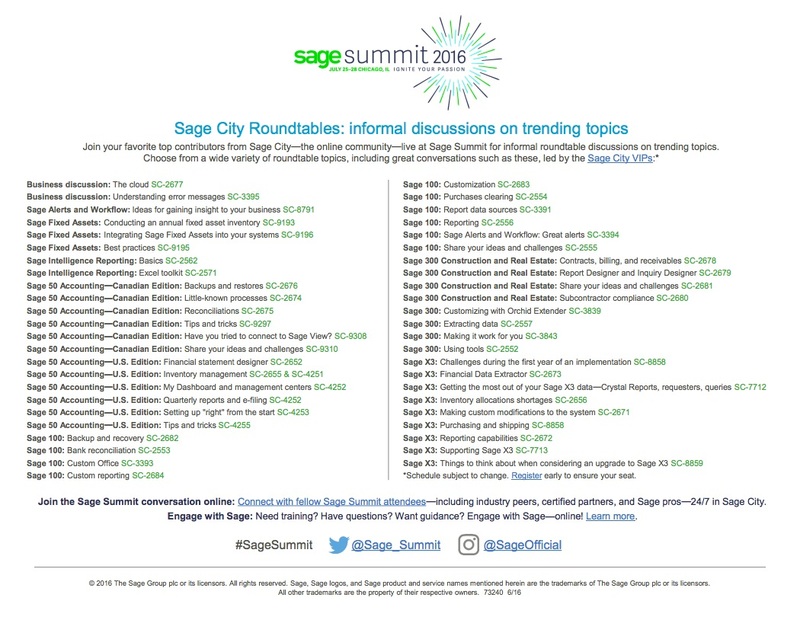 One of the useful sessions this year will be informal discussion roundtables facilitated by end users who are active online at Sage’s online support community – Sage City. This year there are almost 50 separate discussion topics which you can join in to ask questions or help provide answers to your fellow end users. As you are participating in these roundtables be sure you exchange business cards with those who’ve taken the time to attend and led a hand. These are often people you could contact after the conference with follow-up questions or simply to exchange ideas. 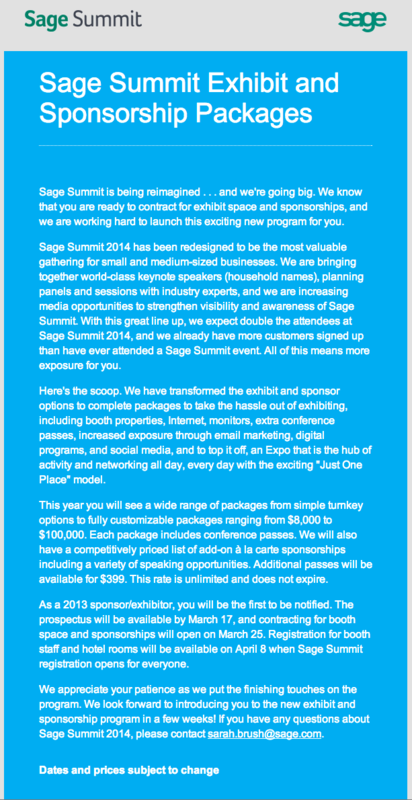 Sage today published the first official attendance features for their Summit 2015 user conference. Officially there were 7,455 registered attendees from 5,794 companies. Sage says this represents a 283% increase over 2014 (implying 2,634 attended) and 1,041% over 2013 (implying 716 attended?). 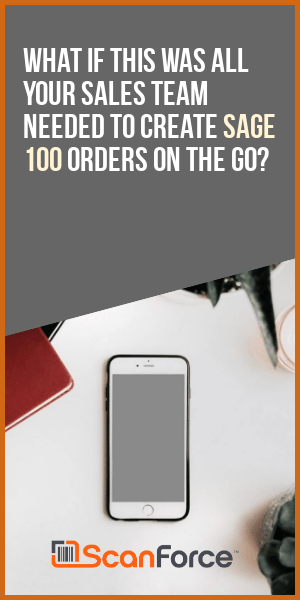 Since we’re pretty certain over 716 people attended in 2013, it’s likely Sage is using some other metric, such as social media engagement, to measure conference growth. 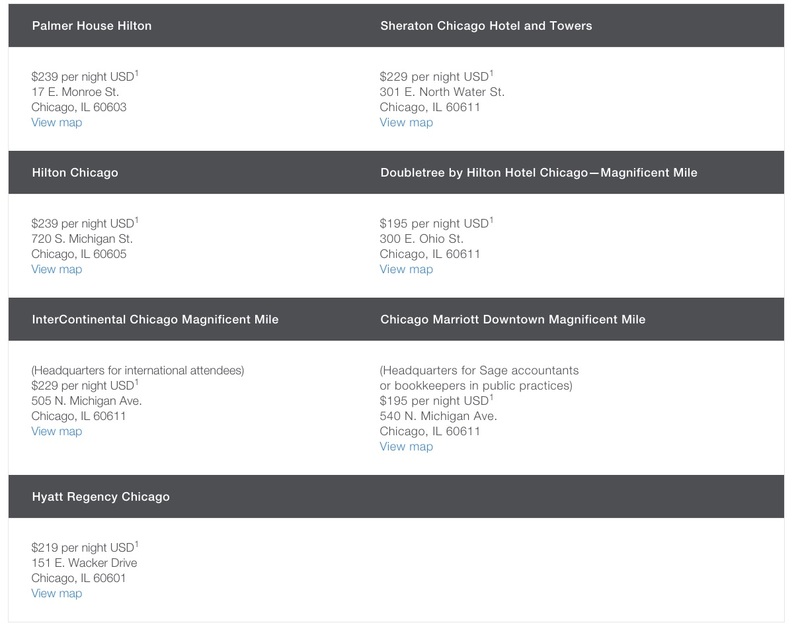 The next Sage Summit is scheduled for Chicago IL, July 25-28, 2016. 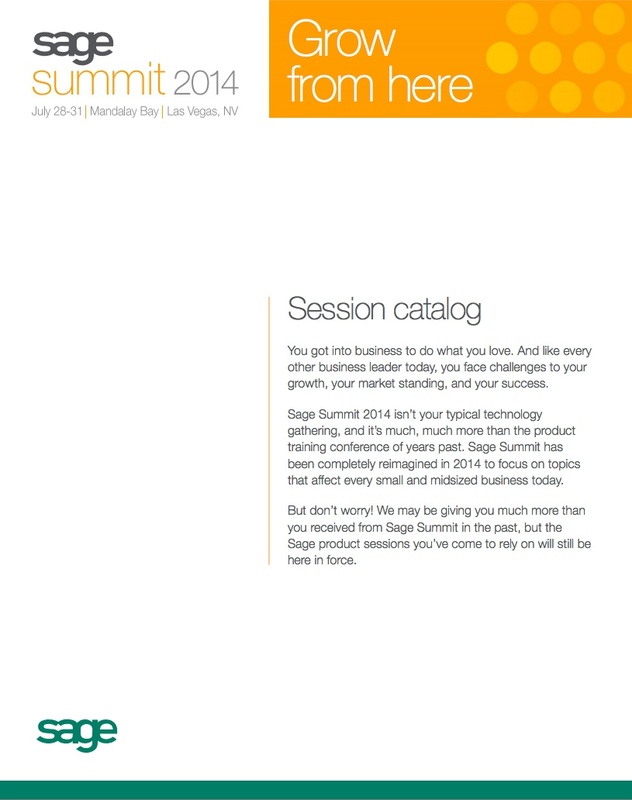 Sage North America have posted the titles to the sessions which they expect to offer at their July 28-31, 2014 Summit Conference. 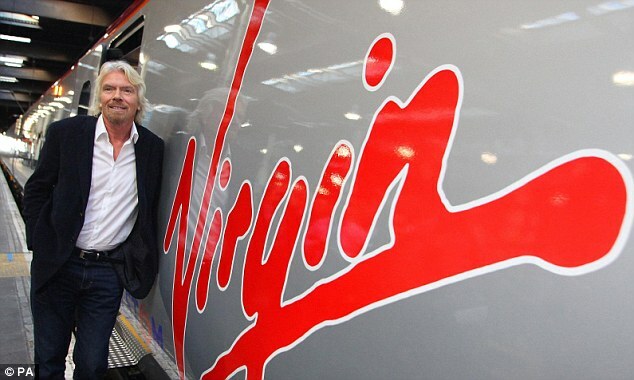 This year’s customer event will be hosted in Las Vegas at the Mandalay Bay and features a decidedly more business focussed agenda than in prior years. Full session descriptions are scheduled to be provided by Sage in May 2014.